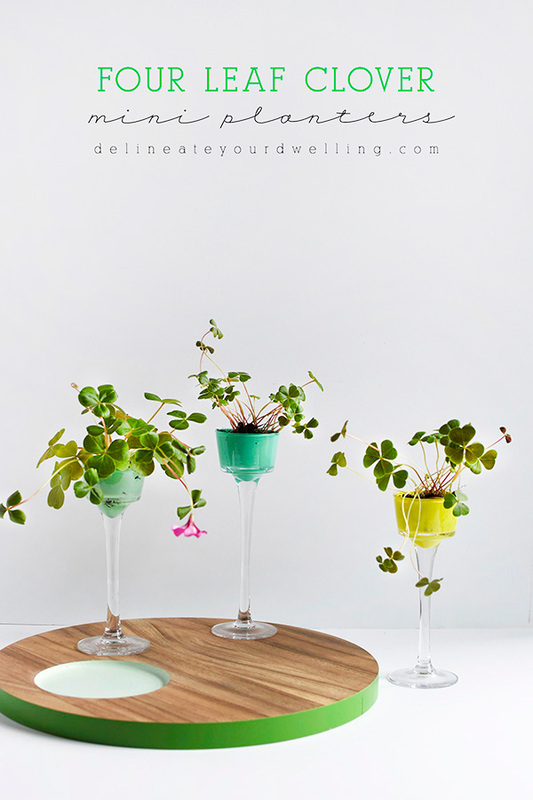 Amy from Delineate Your Dwelling created these and I think they are just way too cute and will make a perfect decor piece for the holiday, and then you can plant them outdoors afterwards. that’s actually not clover. You can tell by the flower. I find 4 leaf clovers all the time. I have one that has 7 leaves.